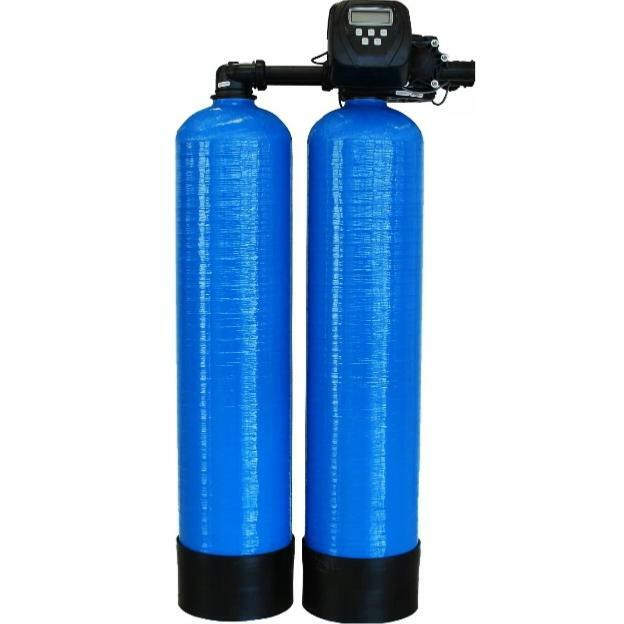 GM Autoflow, specialists in commercial and industrial water softeners, supping equipment from an wide range of manufacturers tailored to suit your needs. We currently supply a wide range of industries, Medical, Pharmaceutical, Catering, Leisure , Agricultural , Nursing Homes and many more. 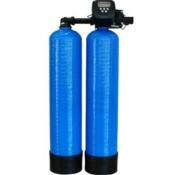 This 20-litre Commercial Water Softener is a twin vessel system. As with the simplex system, when the programmed volume has been reached the vessel that is exhausted goes immediately into regeneration. 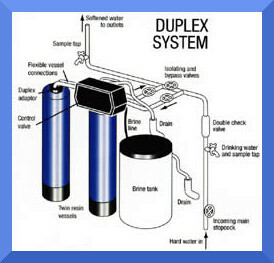 The vessel that was in stand by automatically goes into service thus ensuring 24/7 soft water production. Typical applications are Hotels, Restaurants, Car Washes and where the anticipated usage is not accurate or may well increase during seasonal operations. or supply technical information on any of our products.